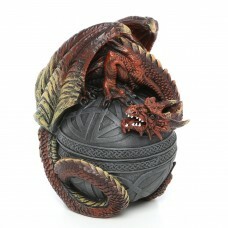 Wrapping his spiny tail in a protective crouch, our Toscano-exclusive dragon by artist Liam Manchest..
Crafted from wood and showcasing trunk-inspired square silhouettes, this versatile two-piece box set.. 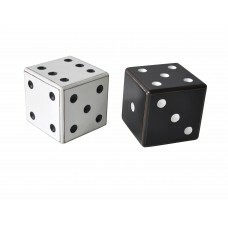 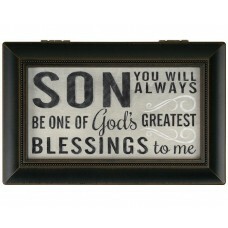 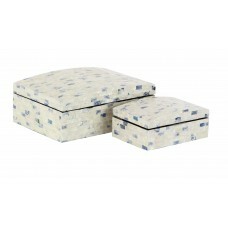 This Crespo My Wish Keepsake Decorative Box used to hold tiny treasures of cherished prayers.Feature..
Yorkshire Natural Rectangular 2 Piece Decorative Box Set with Domed Lid features 2 rectangular MDF b..
Set of 2 new traditional wooden dice boxes, polished finish, square boxes painted with either white .. 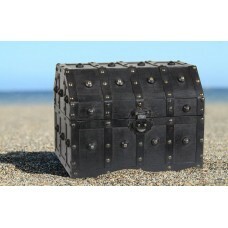 Your child deserves a 'real' Pirate Chest! 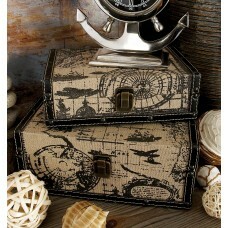 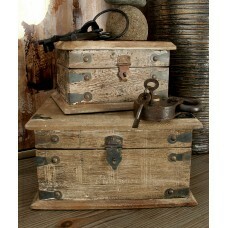 With this Caribbean-style pirate chest, he will feel like..
Love You Son Decorative Box is velvet lined, includes a hand crank music mechanism and plays a popul..
For a vintage, rustic or shabby elegance look for your wedding or party of any sort, these small fav.. 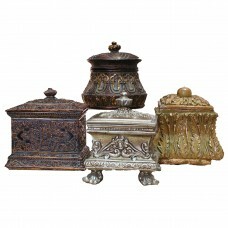 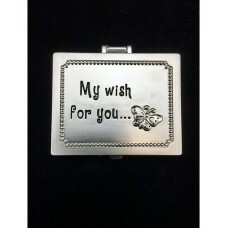 Whether you want to corral your earring collection or you're looking for a lovely accent to complete.. 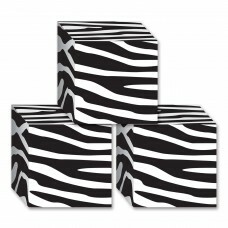 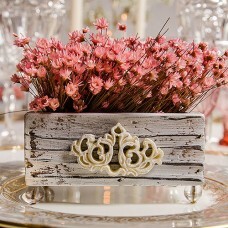 Fill the Zebra Print Favor Decorative Boxes with goodies! 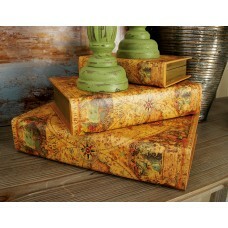 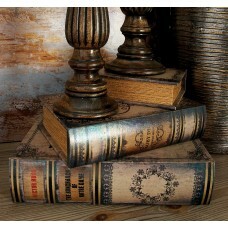 Each guest will be so excited to take one ..
Set of three vintage reflections rustic wood style MDF and synthetic leather Paris landmarks book bo..
Set of three vintage reflections rustic wood-style MDF and synthetic leather classic reads book boxe.. 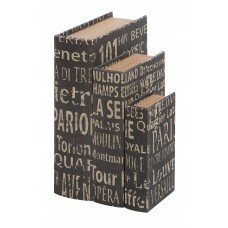 Designed to bring you a perfect blend of functionality and style, this wood reclaimed box is perfect..
FeaturesProduct TypeDecorative BoxSubjectBooks and mediaFinishSepia brown; GoldPrimary MaterialWoodM..